Honora E. Kennedy, MD obtained her undergraduate degree in microbiology at the University of Illinois at Champaign-Urbana. She went on to earn her medical degree from the Abraham Lincoln School of Medicine at the University of Illinois in Chicago. After an internship in Internal Medicine at Loyola University Medical Center in Chicago, Dr. Kennedy moved to Minnesota for her ophthalmology residency at University of Minnesota Hospitals and Clinics. There she received the Harry S. Plotke award for outstanding ophthalmology resident. Before joining Minnesota Eye Consultants, Dr. Kennedy practiced comprehensive ophthalmology at Associated Eye Care (1991-1993) and St. Paul Eye Clinic, P.A. (1993-2017). Dr. Kennedy has frequently received a “Top Doctor” designation by the Mpls St Paul Magazine. She is certified by the American Board of Ophthalmology. 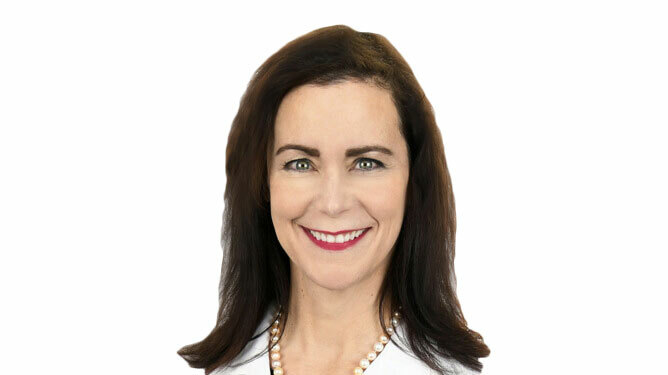 Her professional affiliations include the American Society of Cataract and Refractive Surgery, the American Academy of Ophthalmology, and the Minnesota Academy of Ophthalmology. Dr. Kennedy sees patients at the Woodbury Minnesota Eye Consultants office, focusing on comprehensive eye examinations, cataract evaluations, and treatment of ocular disease. In her free time, Dr. Kennedy enjoys traveling, gardening, and outdoor sports.